The Gillette Stadium faithful were treated to an impressive victory in Tom Brady's homecoming. 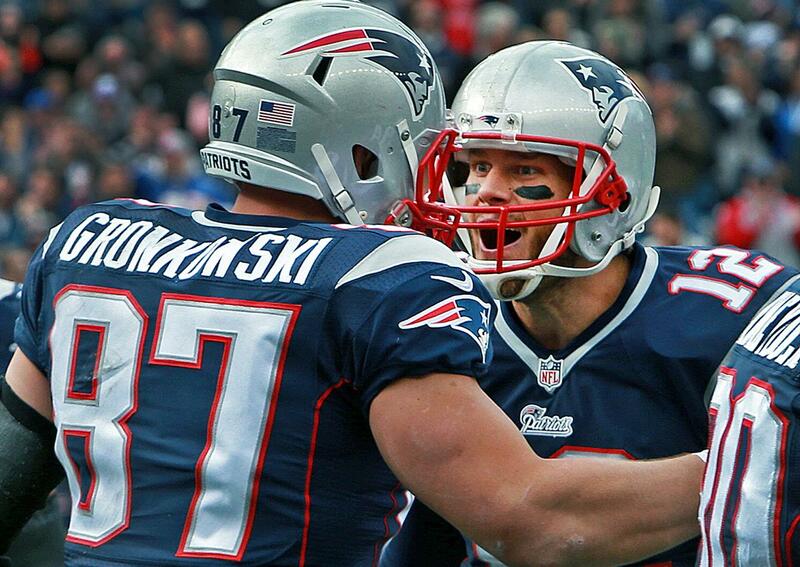 The New England Patriots improved to 5-1 Sunday afternoon with a 35-17 win over the Cincinnati Bengals. Despite being under pressure for much of the first half, Tom Brady, Rob Gronkowski and the offense found their way and scored 25 second-half points. The Patriots scored just 10 points in the opening half, struggling to cope with a relentless Bengals pass rush. Brady was under duress and knocked around, but a late receiving touchdown by James White in the second quarter sparked the offense in a big way. The Patriots carried a 10-7 lead into halftime. Andy Dalton and the Bengals had their chances to hang points on the Patriots defense in the first half. Dalton was shredding the Patriots' secondary, going 10-for-10 passing at one point. The turning point in the contest came on a 4th-and-1 play in the second quarter from the New England one yard line. Anthony Johnson and Alan Branch stuffed Giovani Bernard and forced a turnover on downs after a near nine-minute drive. Brady came out guns blazing in the second half, leading the offense on three touchdown drives. The difference maker in the game was Rob Gronkowski. The big tight end was unstoppable, hauling in a career-high 162 yards and one touchdown. Brady finished the game with 376 yards passing. Gronkowski's ability to stretch the field and draw extra defenders opened things up for James White, who finished with two receiving touchdowns. White found pay dirt for a second time in the third quarter. Martellus Bennett added five catches for 48 yards. Blount added a fourth-quarter touchdown to slam the door on the win. The Patriots defense was by no means perfect. They allowed Dalton to move the football between the 20's, but they stood their ground in the red zone and made timely plays. Dont'a Hightower led the way with 13 tackles and one-and-a-half sacks, including a safety of Dalton in the third quarter. The only Bengals receiver to find the end zone was Brandon LaFell. A.J. Green was limited to six catches. Bernard had just 49 yards rushing. The Patriots next play on Sunday in Pittsburgh against the Steelers.